Along a beautiful and panoramic hiking trail you enjoy a 3-course menu in different restaurants. The hiking tour begins right at the train station in Chur, soon goes out of the city centre and passes by a cozy café (first course). 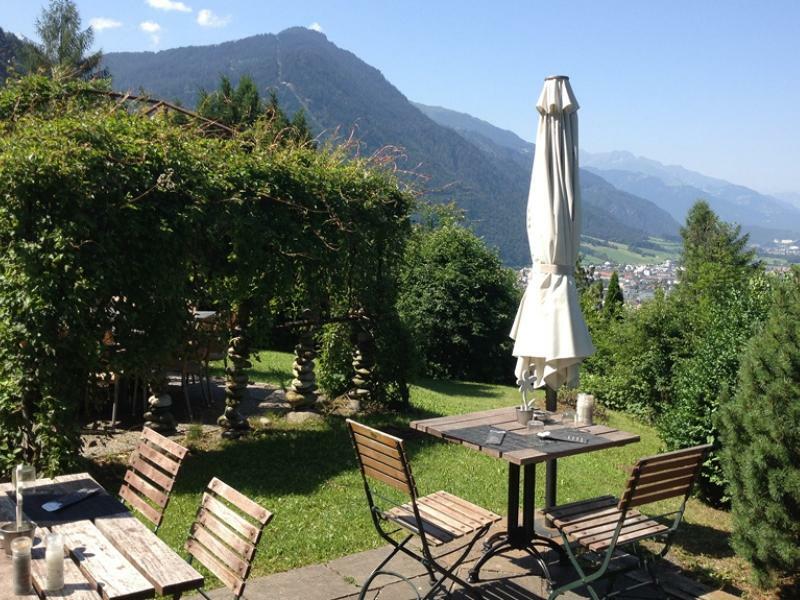 Along the edge of the Fürstenwald forest you reach the Waldegg, where you will find a beautiful garden restaurant with panoramic views (main course). Passing by the episcopal courtyard and the cathedral the tour finally leads back into the historic Old Town, where you will enjoy an original Alpenstadt ice cream at the Kornplatz (dessert). At the train station in Chur you first take the bus no. 2 until the station of Fürstenwald, where the hike begins. Along the edge of the Fürstenwald forest you reach the Waldegg, where you will find a beautiful garden restaurant with panoramic views (first course & main course). Passing by the episcopal courtyard and the cathedral the tour finally leads back into the historic Old Town, where you will enjoy an original Alpenstadt ice cream at the Kornplatz (dessert).